Attended the Northdown trance and physical circle on the 5th December 2011. In preparation for this circle the candle was lit as well as red box switched on, but as the circle started it was agreed that the light was conflicting and not right for the opening and so the candle was extingusihed. Instead the members took account of the place of the table in the middle of the room and the objects, the two trumpets, the ring, the crystal ball and all members took their seats. The opening words were read, the light was switched off, overhead it was dark and the only light was glowing from the red light, the drumming was started and the members started to commence trance. The room should have been the same temperature, however as the trance deepened, the first spirit began to approach the circle, and one of the mediums started to stir. There was a wet coldness which effected everyone’s legs. The words which came into the circle were cockney, or accented from somewhere in London, the man said hello and then mentioned the little whipper snapper outside, referring to the small dog belonging to the leader of circle, he stated that the dog was aware of spirit and that his barking was a result of the sense. He was a while talking on this subject and then he mentioned the cold, a chill he said, after asking if everyone was keeping ok, he said that he was suffering with a slight chilly state or the sniffles he said was the name at the time. He wanted to say that he would pop in and that for now cheerio. Following the speech from spirit, the words seemed to bring on a number of taps at the door. They sounded like bangs. The circle was made aware of this, and then the members started to see a Victorian scene. The streets were extraordinary, as several members could all see the Victorian moment at the same time, being a bustling hive of movements, there was a boy and a child energy who seemed to walk into the room, the smells were vivid and the mention of a séance and more particularly the fact that some of the people were attending a circle much similar to the one which they were visiting only this had taken place back in the 1800s and then the name of the area was shown. Belgravia. The figure of a female medium was seen, the name Patrovna was mentioned numerous times and along with this that everyone was attending this renowned séance. As this was being seen, one of the other mediums, suggested that it could be Madam Helena Patrovna Blavatsky as this was said the red light was flicked down. Validation of this; it charged the circle and the next vision was clear that people were in attendance of this spiritual event. 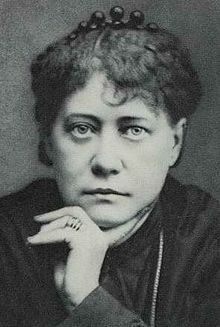 It can now be stated, that after research Madam Blavatsky’s follower and supporter groups held meetings and spiritualists circles in exact Belgravia. Also at the age of 20 Madam Blavastsky was given an opportunity to meet with a Tibetan holy person in hyde park which is near Belgravia. This is not just a coincidence but the start of Madam Blavatsky’s journey into Spiritualism. Tibet was also a recurring theme which kept being repeated by many visiting spiritual energy. Many members were witness to the Tibetan monk who could be visually seen walking round the circle. Mediums could sense the difference in the energy. The circle was superb. The energy was palatable. The vibrations could be felt down the back of chairs. At one point, one medium cried out, a pinch on her elbow had been felt and it was so sharp. The sense that something was moving came through, and then on one empty seat energy could be seen. A female energy came on, a lady who showed the number 7, and this was at first wrongly interpreted to mean the numbers of members and the attendance of not 7 figures in the circle but as the energy grew the information came through. This was a lady, who was ernest in her belief of the spiritualist movement a passionate and faithful lady who followed and helped with the spiritualist concept. 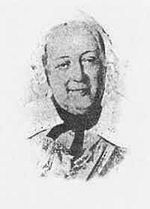 A lady who looked beautiful and stated her name to the members as Emma Hardinge Britte n, this can now after research be stated was also the lady who divulged the 7 principles of spiritualism. Not only, had she investigated spiritualism but also helped to guide. She spoke with messages, and addressed the progress of the circle. Emma Britten, she said that she was intrigued by the trance and proceeded to show a green glow and speak of how the spirits would help with showing physical to the circle. It can now be noted that Emma Britten was in fact a trance medium and investigated this. A lot of names and images were shown. The names and images also came in conjunction with another lady, a female, with the name of Elizabeth Barret t Browning, it was with these words conundrums of the heart. The medium sitting on the other side of the room also kept feeling the name of Wimple or whippole and it can now after research also be stated that one Elizabeth Barrett Browning, a poet and extraordinary writer lived at 50 Wimpole Streets. Intriguing, the face of one of the mediums, started to look pronounced. The medium felt the alteration and among which the connection showed as the lady’s features came out as that and close to Madam Blavatsky’s grandma. The lady spoke messages and was keen writer and a lover of languages, the language aspect especially latin was shown in the circle, and this was one of the beautiful links as Elizabeth Barrett Browning loved to read texts and poems in latin. The connection of the three females Elizabeth Barrett Browning, Emma Britten and Madame Helena Patrovna Blavatsky is clearly evident as all three had a sense of fighting for their corner, for providing heart and soul and balance. Elizabeth Barret t Browning also showed a feeling of illness, one of the members actual fell forward and felt pain in her back and numb in her legs. After research it can be shown that the symptoms of an illness which Elizabeth Browning had was a severe spine pain and falling forward. Exactly what was shown in circle. If you remember at the start of the blog I mentioned that Emma Britten was ernest, the name Ernest came up from her several times and through her message. After research it can now be shown that Emma Britten used Ernest Reinhold as a pseudonym for her musical pieces. After research I would like to state that Emma Britten was notably depicted in a few articles as having been effected by a wet cold sense, as she had predicted the events which took place on the steamship Pacific. It was considered that this was after one of the crew members from the same ship helped to take over her body during trance. This cold wet sense was felt by every one of the mediums in that circle that evening. Tibet came up so many times and was important as both the spirit who spoke through one medium and also at the conclusion of the circle as stories which just popped up frome one of the members and was an odd coincidence. Tibet was the foundation for Theosophy, the concept and spiritualist, notion of Madam Blavatsky and also coincidently by Emma Britten and focused on by her in some of her work. There was voice physical. Another medium opened his mouth and a spirit spoke to the circle about how connected the people were to spirit. The energy spoke of the scene which came into circle and how it was to be taken into account. The circle was bouyant. So much occurred and so much was felt. Legs of the members were touched and tickled. The mist and white energy was thick in parts of the room and helped to show the light flickers and orbs, which were blue lights in the room. Elizabeth Barrett Browning was showing and members of circle could sense that there was a spiritual closeness. After looking into the name, it should also be noted that Elizabeth Browning was considered to be such an acclaimed poet that she was up for A poet Laurette and the position taken by Tennyson, one of the figures who visited the circle on the last occasion. The clairscentience was emmence. Vast numbers of scents came into the circle. With the coming and going of each new aroma, new senses and emotive information was given. The walls were also shown up in a green hue; there was a number of transfigueration amongst which an eagle symbol also showed through. The circle was concluded. It was a super evening and moreover it was an exceptional providing of spirit and information which relates to how and who the spirit were. Spiritualist movement was a theme which seemed paramount, as well as the romantic and powers of spiritual physical activity. Having provided names and dates it was an exceptional experience to be a shared part of. Pictures are of Madam Helena Patrovna Blavatsky; Emma Harding e Britten, Elizabeth Barrett Browing and Madam Helena Patrovna Blavatsky’s grandma. Pics taken from online encyclopedias. Poem inspired by the figures and energy who visited our circle. sense of pride, for this land where we reside.